The Walker Emissions Control product line from Tenneco has grown by 236 part numbers through the first 10 months of 2018, representing more than 130 million potential service opportunities. Tenneco says it expects to introduce dozens of additional Walker part numbers in November and in excess of 200 new catalytic converter, muffler and related part numbers during 2019. 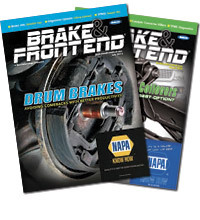 The Walker brand’s year-to-date coverage expansion has included 43 new Walker Ultra EPA-compliant direct-fit catalytic converters, 71 Walker CalCat CARB-compliant converters, 47 Walker Quiet-Flow SS stainless steel mufflers and assemblies and 75 new resonator, pipe and hardware part numbers. Among the Walker CalCat part numbers introduced this year were replacement converters for 26.6 million light trucks and SUVs certified to the U.S. LEV1 SULEV (super ultra-low emissions vehicle) classification. Engineered for OBDII vehicles certified to U.S. EPA emissions standards, Walker Ultra converters feature the right loading of precious metals and a high-technology washcoat. Many of these units offer original equipment-style design and fitment, including hangers, flanges and brackets, to help technicians perform comprehensive, high-quality repairs in less time. Walker CalCat converters comply with specific pre-OBDII and OBDII requirements in regions following CARB emissions standards. These units feature the right loading of precious metals, the proper catalyst material and design, and a high-technology washcoat, providing enhanced oxygen storage capacity, according to Tenneco. 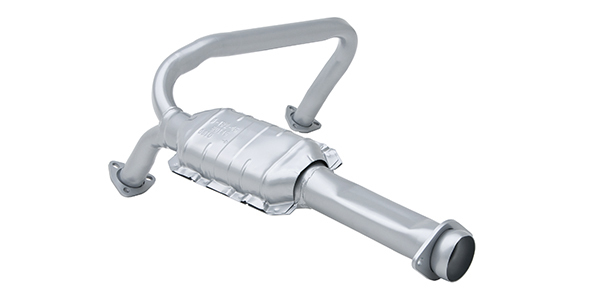 Walker Quiet-Flow SS stainless steel mufflers and assemblies resist rust-out three times longer than competitors’ premium aluminized mufflers. Each QuietFlow SS unit is designed using an original equipment-style cross section to help ensure precise fitment, superior flow and OE-style sound and performance. To learn more about these and other Walker Emissions control products, contact any Walker Emissions Control supplier or log on to walkerexhaust.com.